A large, cozy mitten is home to two adorable little ones with happy smiles on their faces! 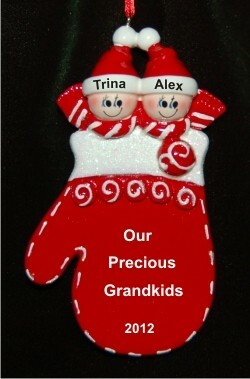 The Christmas mitten: our two grandkids personalized Christmas ornament is a wonderful personalized gift for grandparents or from them to the grandchildren. 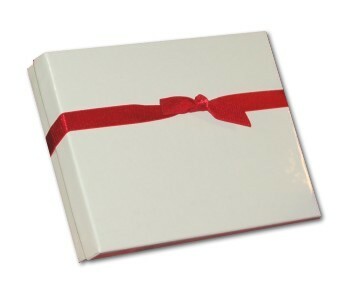 Either way, we'll make it a cherished keepsake with the addition of the details you provide. The names and your personal sentiment will be painted on where shown, but in a more stylized font to create a custom look. The Christmas mitten for 2 grandchildren personalized Christmas ornament is a wonderful memento that will grow in sentimental value in the years ahead. It arrives in our exclusive velvet gift bag.